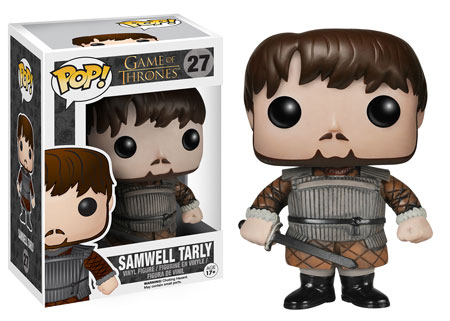 2014 Funko Pop Game of Thrones Series 4 continues to expand the popular line of vinyl figures. With so many people to choose from, the five figures represent a mix of returning favorites and important secondary characters. 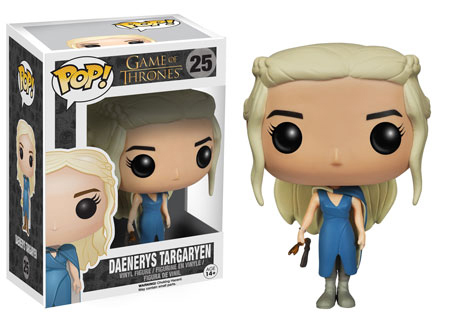 Leading the pack is Daenerys Targaryen who has already been featured on multiple figures. This time around she's in a blue dress and holding a slaver's staff. 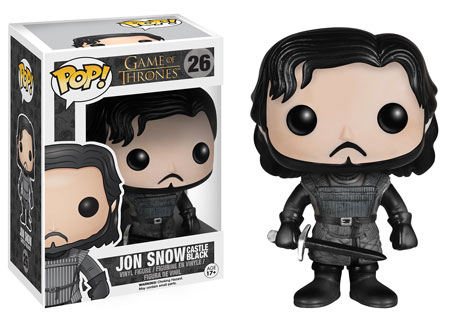 Also returning is Jon Snow who is in his Castle Black outfit and no longer sporting a massive cape. 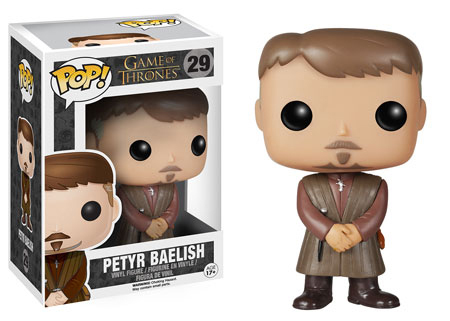 The rest of the 2014 Funko Pop Game of Thrones Series 4 figures include Sansa Stark, Petyr Baelish and Samwell Tarly. 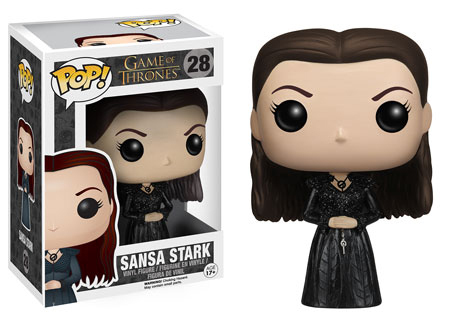 With these five figures, it brings the larger Funko Pop! 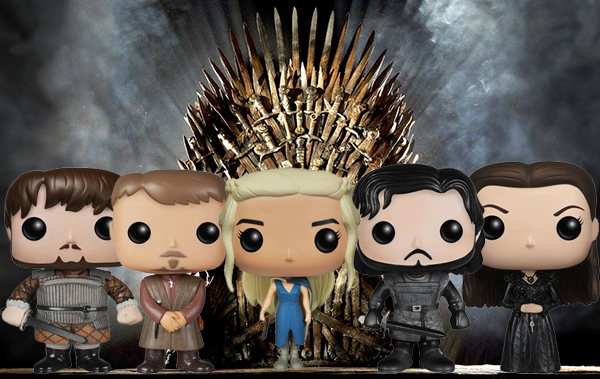 Game of Thrones figure count to 29, not including exclusives.